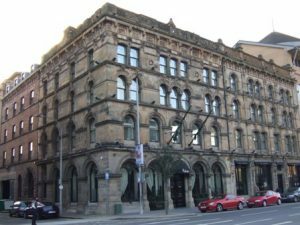 The spectacular seed warehouse of the rival firms McCausland & Lytle dating from 1867–8 were place on the Buildings at Risk register in 1993. 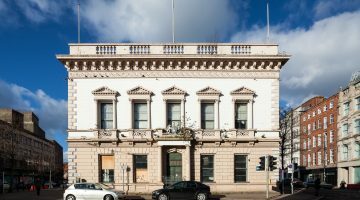 The four storey Italianate buildings with their decorative stone friezes were vacant and under threat of demolition for over 15 years until a Dublin hotelier purchased them recognising their unique commercial potential. The buildings were converted in 1998 to the well-known boutique hotel ‘Malmaison’ offering luxury accommodation surrounded by the historic character. 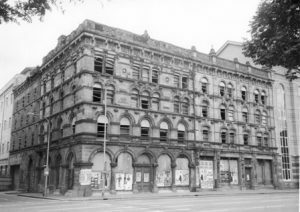 The project was partially supported by the Laganside Corporation who were responsible for much of the urban regeneration of Central Belfast around that time. NIEA Listed Building Grant Aid; Private owner; Laganside Corporation; and NITB.